JS is the president of the Employee Benefits Division at Thomas Financial. A 15-year veteran of the health insurance field, he is widely recognized in the industry as a consumer driven healthcare and benefits technology expert. JS began his career in Birmingham, Alabama, where he helped individuals and families find affordable health insurance. He moved to Florida in 2008 and founded Nexgen Benefits. In 2011 his business was acquired by BKS Partners in Tampa, FL, where he stayed as an advisor for two years. In 2013, JS started Clickmyquote, LLC, a consumer health insurance exchange where he served as CEO. 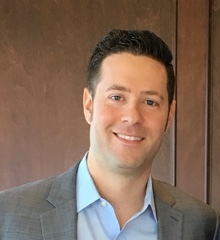 In 2017 he joined Thomas Financial, where his primary role is to educate employers and assist them in creating strategies using technology to better manage their plans and reduce costs. JS earned his Bachelor of Science degree in Marketing from the University of Kentucky. Originally from Montreal, Canada, he is fluent in French and loves hockey, which he played competitively for over 15 years. He spends most of his spare time with his wife Lynn, and 3 children, Oliver, Owen and Juliette.